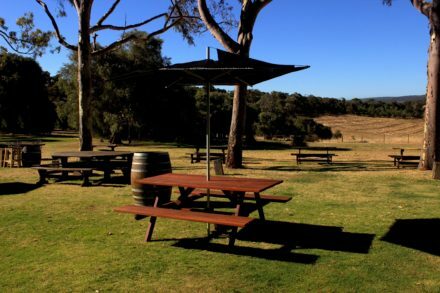 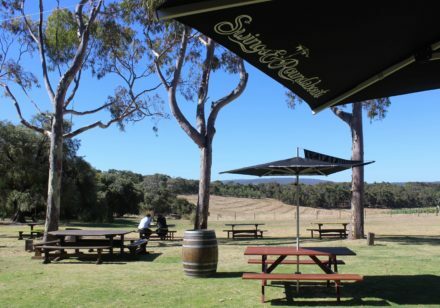 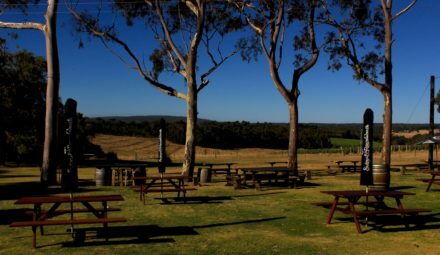 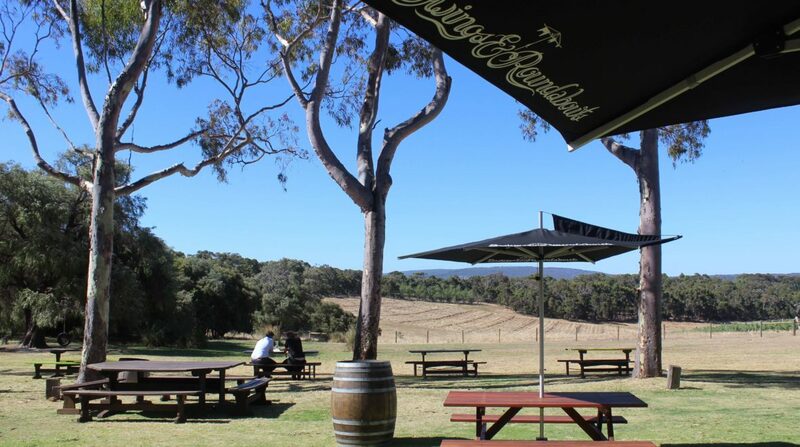 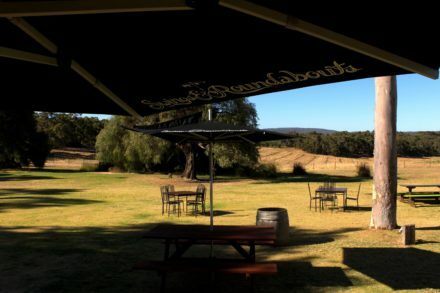 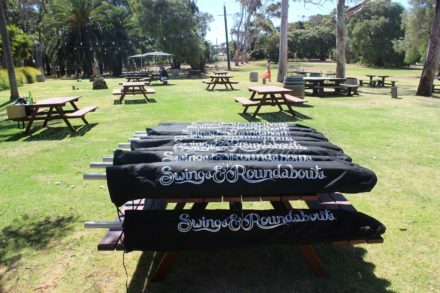 Swings & Roundabouts Cellar Door and Restaurant upgraded their gorgeous outdoor function space to include twelve F-280 commercial umbrellas, custom branded on modified table spigots. 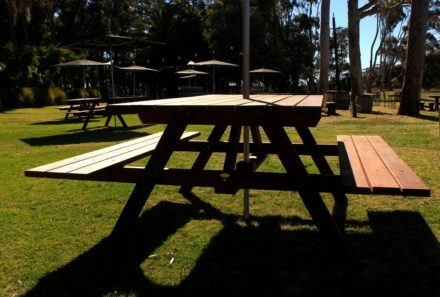 Lifestyle Jarrah (www.lifestylejarrah.com.au) provided the hardy new picnic tables that the umbrella spigots were measured and customised to. 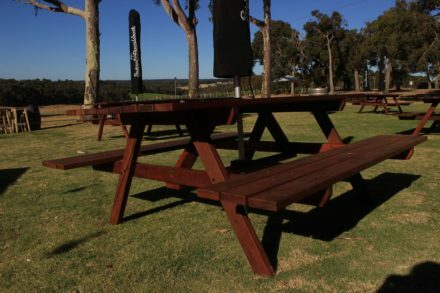 The designs included branded Zip-Up Protective Covers so the Finbrellas can stay in place year round. 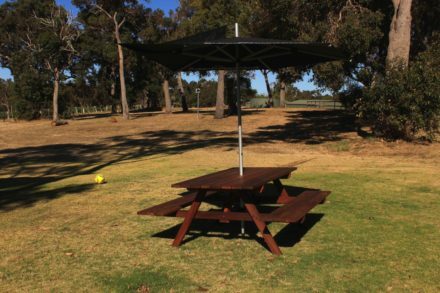 The commercial umbrellas have been brought to Perth on multiple occasions for pop-up events at Elizabeth Quay and have provided wind-stable shade for many thirsty patrons.